This article is about the UEFA competition. For other uses, see Nations League (disambiguation). The UEFA Nations League is a biennial international football competition contested by the senior men's national teams of the member associations of UEFA, the sport's European governing body. The first tournament began in September 2018, following the 2018 FIFA World Cup. The four group winners from League A will qualify for the finals, to be played in Portugal in June 2019. Four nations, one from each League, will also qualify for the UEFA Euro 2020 finals. The competition largely replaces the international friendly matches previously played on the FIFA International Match Calendar. In October 2013, Norwegian Football Association President Yngve Hallén confirmed that talks had been held to create a third full national-team international tournament for UEFA members  in addition to the FIFA World Cup and UEFA European Championship. The concept of the UEFA Nations League would see all 55 of UEFA's member associations' national teams divided into a series of groups based upon a ranking formulated using their recent results, where they would be promoted and relegated to other groups according to their results within the group. The proposed tournament would take place on dates on the International match calendar that are currently allocated for international friendlies and would not affect the FIFA World Cup or UEFA European Championship. In March 2014, UEFA general secretary Gianni Infantino stated that one of the benefits of the proposal would be to help less glamorous national associations arrange games. Royal Belgian Football Association's general secretary Steven Martens said that lower ranked nations would still benefit financially from the competition, as the television contract with UEFA would be centralised. The UEFA Nations League was unanimously adopted by the 54 UEFA member associations (Kosovo was not a member at this time) at the XXXVIII Ordinary UEFA Congress in Astana on 27 March 2014. According to the approved format (prior to Kosovo becoming a UEFA member), the now 55 UEFA national teams (including Kosovo) are divided into four divisions (called "Leagues"): 12 teams in League A, 12 teams in League B, 15 teams in League C, and 16 teams in League D. In each league, four groups are formed (three or four teams in each group) and teams play each other both home and away. In the top league, League A, the winners of the four groups go on to play in the Nations League Finals, with two semi finals, one third and fourth place decider, and one final to decide which team becomes the UEFA Nations League champion. Teams can also be promoted and relegated to a higher or lower league. Each group winner (there are four groups in each league) except for League A, who will go on to play in the Nations League Finals, is automatically promoted to the next higher league for the next tournament. Each team placing last in its group, except for League D is automatically relegated to the next lower league; however, in League C, due to different sized groups, the three fourth-placed teams and the lowest-ranking third-placed team are relegated.. The UEFA Nations League is linked with the UEFA European Championship qualifying, providing teams another chance to qualify for the UEFA European Championship. There will be play-offs for each of Leagues A, B, C and D in March 2020. Each group winner earns a spot in the semi-finals. If the group winner is already one of the twenty qualified teams, rankings will be used to give the play-off spot to another team of that league. If fewer than four teams in the entire league remain unqualified, play-off spots for that league are given to teams of the next lower league. This determines the four remaining qualifying spots for the European Championship (out of 24 total). The Nations League may also be linked with UEFA's future World Cup qualifications for the same purpose. UEFA devised the tournament as a means to eliminate international friendlies – an aim that has been shared by many football clubs and supporters with the regular football season being interrupted with non-competitive international matches as part of the FIFA International Match Calendar. In February 2012, it was agreed between UEFA and the European Club Association (ECA) that the international friendly schedule would be reduced from 12 to 9 matches a year with the August round of international friendlies in the UEFA confederation abolished from 2015. The aspiration to eliminate friendlies in favour of a more competitive tournament has been welcomed by many football commentators. Supporters more than most realise that most friendlies fail to deliver competitive and meaningful football. Now they will have the opportunity to see their teams play in more competitive matches, take part in a new competition and get a second chance to qualify for the major tournaments. There will certainly be fewer friendly internationals and undoubtedly fewer meaningless friendlies. However, there will still be space in the calendar for friendly internationals – particularly warm-up matches for final tournaments. UEFA is also keen that European teams will still have the chance to play opponents from other confederations. —  The Nations League was partly created out of UEFA's aspiration to eliminate "meaningless" international friendlies. In the United Kingdom there has been criticism that the tournament is being shown on Sky Sports, a subscription channel, and not available free-to-air. The UEFA Nations League trophy was unveiled during the phase draw in Lausanne, Switzerland. The trophy represents all 55 UEFA National associations and is made of sterling silver. The trophy weighs 7.5 kg and is 71 cm tall; it will first be lifted in June 2019. The official anthem of the UEFA Nations League was recorded with the Netherlands Radio Philharmonic Orchestra and Choir, singing in Latin. It is a mix of classical and electronic music, and is played when the players are entering the field of play, in television sequences and for ceremonial purposes. The composers are Giorgio Tuinfort and Franck van der Heijden. Each season of the UEFA Nations League will be played from September to November of an even-numbered year (pool stage), and June of the following odd-numbered year (Nations League Finals of League A), meaning a UEFA Nations League champion will be crowned every two years. ^ a b c "UEFA Nations League receives associations' green light". UEFA.com. 27 March 2014. ^ Rumsby, Ben (25 March 2014). "England ready to play in new Nations League as revolutionary UEFA plan earns unanimous backing". The Telegraph. The Telegraph Media Group. Retrieved 26 March 2014. ^ Hojem Kvam, Lars (9 October 2013). "Hva om Ronaldo, Özil, Balotelli og Pique møtes til ligaspill – med sine landslag?" (in Norwegian). dagbladet.no. Retrieved 26 March 2014. ^ Gibson, Owen (10 October 2013). "Uefa explores internationals shake-up with Nations League plan". TheGuardian.com. Retrieved 26 March 2014. ^ a b "Nations League: New European tournament to be confirmed". BBC Sport. 26 March 2014. Retrieved 26 March 2014. ^ "Nations League moet nieuwe mijlpaal in Europese voetbal worden" (in Dutch). zita.be. 26 March 2014. Retrieved 26 March 2014. ^ "UEFA Nations League: all you need to know". UEFA.com. 27 March 2014. 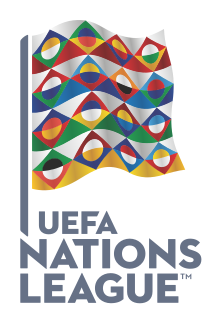 ^ "UEFA Nations League/UEFA EURO 2020 qualifying" (PDF). UEFA.com. ^ a b c "UEFA Nations League format and schedule approved". UEFA.com. 4 December 2014. ^ a b c "UEFA Nations League format and schedule confirmed". UEFA.com. 4 December 2014. ^ a b "UEFA Nations League and European Qualifiers competition format, 2018–2020" (PDF). UEFA.com. ^ Smith, Giles (2 March 2001). "Put an end to these meaningless friendlies". The Telegraph. Retrieved 2018-08-31. ^ Lawton, James (20 February 2018). "Friendlies do not have to be as meaningless as this". The Independent. ^ "Do friendly matches really matter?". BBC Sport. 2 March 2006. ^ "Clubs and Uefa agree to reduce international matches". BBC Sport. 28 February 2012. Retrieved 2018-08-31. ^ Liew, Jonathan (13 October 2017). "Abstract and absurd, Uefa's Nations League is anything but the Ctrl-Alt-Delete the international game needs". ^ "What is the Uefa Nations League – and will it be successful?". The Guardian. 23 January 2018. ^ "UEFA Nations League: all you need to know". UEFA. 20 August 2018. ^ Dunbar, Graham (24 March 2017). "As World Cup hope fades, Europeans turn to Nations League". USA Today. Associated Press. Retrieved 17 July 2017. ^ "England vs Spain: Millions miss out on watching Nations League match shown on pay-per-view Sky Sports". Independent. 9 September 2018. Retrieved 16 November 2018. ^ a b "UEFA Nations League trophy and music revealed". UEFA.com. Retrieved 30 August 2018. ^ UEFA.com. "What are the lyrics to the UEFA Nations League Anthem?". UEFA.com.